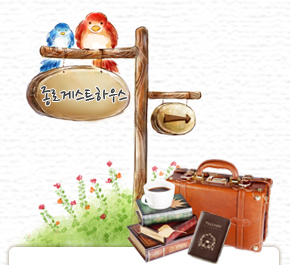 Our Guesthouse is located in the foothills of Bukhansan, a mountain located in the heart of Seoul. We are also near the Baeksasil Valley, a beautiful and natural forest filled with trails, streams, and wildlife. We are conveniently located. Myundong, Duksu Palace, Kyungbok Palace, Biwon, Namdaemun Market, Dongdaemun Market, and Namsan are only 20 to 25 minutes away by public transportation. During your visit you can enjoy nature walks, historical explorations, and even visit the sets of famous Korean dramas! Surrounded by nature and fresh air, G house is a place of healing, and a perfect getaway from stressful daily life. *Buamdong Historical exploration course: Prince Anpyeong, Daewongun, WoongYeoul Yun, Kwang Su Lee summer home, Poet Yun Dong-ju’s Hill. 저희 종로게스트하우스는 서울의 중심지인 북한산자락에 위치하며, 개구리, 도룡뇽, 맹꽁이가 살고 있는 백사실 계곡과 인접하고 있습니다. 생태문화탐방, 문학역사기행, 드라마촬영지 탐방, 북한산올래길을 하루코스로 즐길 수 있습니다.또한, 명동, 덕수궁, 경복궁, 비원, 인사동거리, 남대문시장, 동대문시장, 남산까지 대중교통으로 20~25분 거리에 있어 여행객들이 편리하고 쉽게 서울 관광을 즐길 수 있는 위치에 있습니다. 아름다운 자연경관, 맑은 공기로 일상에 지친 심신을 치유하며 진정한 healing을 느끼실수 있는 종로게스트하우스는 도심속의 휴식처입니다.